As a Chama, when you first commit to the goal to save millions, buy property, or buy treasury bonds, you are very excited. You can’t wait to get started on making your dreams a reality. If your goals is to save 10 million in several years. At the beginning members may save religiously, but after a few weeks, or even days, your initial enthusiasm wears off and you start thinking about whether this is really worth it. So after your short burst of enthusiasm, what does it take to ensure that you stay motivated? What has helped many Chamas is creating a goal support system, a sort of “goal prop” if you will. We can use these prop to help us stay focused and committed, before following the path to our goal has become a habit. 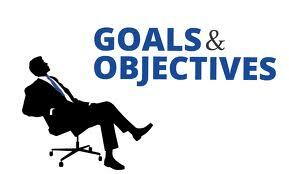 A goal prop can be anything that helps us stay focused on our goal. It helps us remember why we started when our discipline is waning and we are not sure if it’s worth it anymore. to buy what’s done well in the recent past. who posts higher scores and lower returns than you). last three years. Look forward, not back. doing, you’ll smile and pour yourself a nice glass of wine. This is probably the easiest thing to start out with and one of the most powerful motivators. It’s simple and unsophisticated. If your goal is to save millions, you can use the mantra “the millionaire chama” or “the millionaire bridge.” The mantra itself isn’t as important as the emotional connection it gives all of you to your goal. going to do differently? Whatever it is, getting members to regularly thinking about your chama plans after you’ve achieved your goals is a powerful way to stay motivated. It allows you to renew that initial excitement you had when you first set out to achieve your goals. But how long is that ‘long term’? How many years? behind the ambiguity when the investor’s portfolio fails to perform. by analysing data and our conclusion is; hold your breath, 7 years! 10%, 12%, 15% and 16.2% – the last being the 33 year average market return. (but real) probability (21%) of getting a return less than 8%. improves the probability of superior returns.